March 27th marked the end of a weeklong celebration honoring Ke Ali’i Makaainana Prince Kuhio and his contributions to strengthening Hawaiian culture. His life and work in creating the Hawaiian Home Commission Act and in establishing the Hawaiian Civic Club have helped strengthen an enduring Hawaiian Culture. He is a shining example of Hawaii’s greatness and goodness. Makani’aheahe also favored that day for channel swimmer Abhejali Bernadova. She began a journey to cross the Moloka’i Channel. 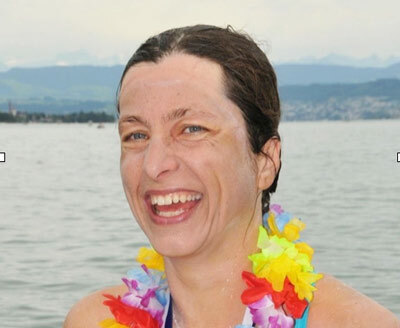 Finishing in just under 22 hours, she is the first woman from the Czech Republic to successfully swim the Ka’iwi Channel or Moloka’i Channel. Although the swim began with calm waters off the shores of Moloka’i, nighttime brought rough waters, huge swells and man-of-war jellyfish. In spite of these challenges, she finished on the shores of Sandy Beach Park at 3:13pm on March 28th. Abhejali‘s recent swim joins her four other successful channel swims as part of her bid to complete all seven of the world’s longest channel swims, called the Ocean’s Seven. Like the attempt by elite mountain climbers to summit the highest peak on every continent, the Ocean’s Seven is a coveted badge of honor, earned only by a select few who possess an ironclad will and tenacity of spirit. The other swims she completed so far are the English Channel, Gibraltar Straits, Catalina Channel and Tsugaru Strait. Inspired by the example of her spiritual teacher Sri Chinmoy, Abhejali says her goal is to always go beyond what others might consider to be the limits of the human spirit and to show that we all possess unlimited potential to change the world in a positive way. Within each person is endless courage and resolve, she says. In the words of Sri Chimnoy: “We are all truly unlimited if we only dare to try and have faith.” Abhejali hopes to use her swimming to show that the courage within to accomplish her swimming comes from a deep sense of peace developed through her life of meditation and discipline. An athlete, poet, writer and musician, Sri Chinmoy has composed many songs about Hawaii with expressions of the beauty of its new dawn, the delight of the Hawaiian people and its flowing affection for life.